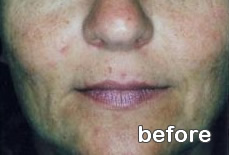 Ellipse Intense Pulsed Light – we offer a number of different pulsed light treatments. The visible light from the flash lamp is guided via a glass prism to the treatment area. Hair containing pigment (melanin) absorbs the light and converts it into heat. This heat is led through the hair into the hair follicle which is then destroyed and rendered unable to produce a new hair. 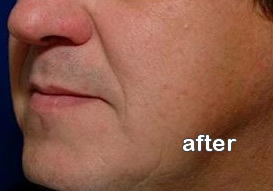 Results vary dramatically between patients, however there are always noticeable results. Please roll your mouse or cursor over the image below to see the Before and After pictures for examples. No aesthetic is required and most people describe the sensation as similar to that of a rubber band snapping onto the skin. 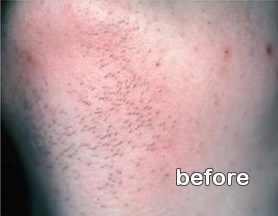 Unwanted facial hair is also a major problem for transgender women. We welcome transgender clients. 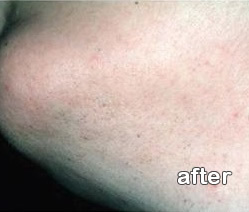 If you are transgendered, you may also find electrolysis treatment helpful for a permanent solution to unwanted facial hair. The flashlamp in the unique ELLIPSE IPL system produces light that is carefully filtered in two ways to ensure that only light with the correct characteristics (wavelengths) is allowed to reach your skin. 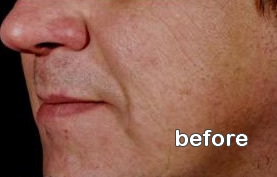 Please roll your mouse or cursor over the image below to see the Before and After pictures for examples. 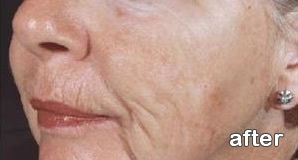 Age spots contain a substance called melanin, and blood vessels contain a substance called haemaglobin. When cells containing a lot of of melanin or haemaglobin are hit with the right type of light, they heat up and are destroyed within a few thousandths of one second. Tolerance of pain is very individual from person to person. No anaesthetic is required, and many clients describe the discomfort as a warming sensation similar to the feeling one has after a day on the beach. The lighter the skin colour the less pain. 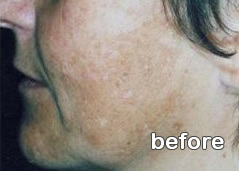 You may notice that the skin looks a little dirty for a few days following treatment. 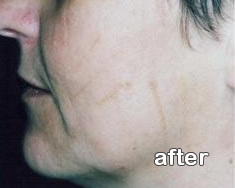 After that you will find that your skin looks smoother and fresher. 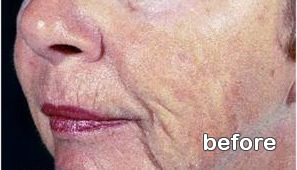 You might choose to have 1-2 annual maintenance treatments in order to keep your youthful appearance.